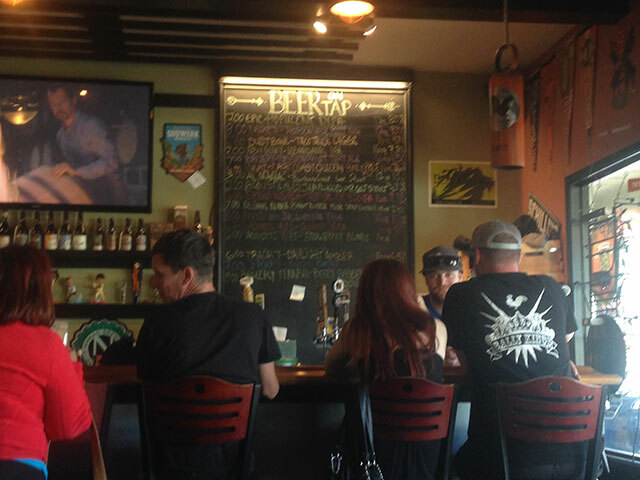 Our totally biased collection of local eateries and trails. From Burgee Dave’s in Camptonville, to The Willo (voted Sacramento Magazine’s “Favorite Roadhouse”), we hope you enjoy our collection of local favorites. A traditional California roadhouse with just plain, good, hearty American food. The Willo was established 1969. Voted best steak year after year by the readers of The Union. 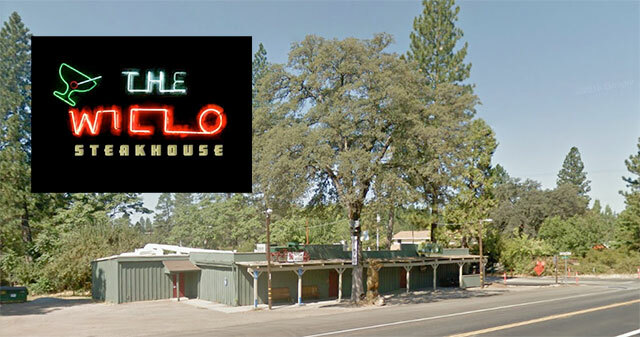 Also named favorite roadhouse by Sacramento Magazine. Their steaks are hand cut daily and grilled to your specification. You can watch your meal being cooked by their expert grill masters or cook your own. Ribeyes are served on Fridays and Saturdays. Cook off style St. Louis cut racks of ribs smoked there daily. Steakburgers are available every Monday. 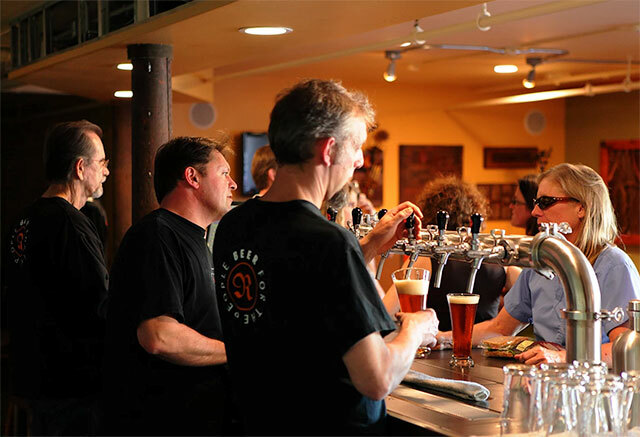 A local favorite that always has 13 craft beers on tap, including root beer, people come to Jernigan’s for the wonderful atmosphere. You can enjoy a great meal, see a game or raise a glass. 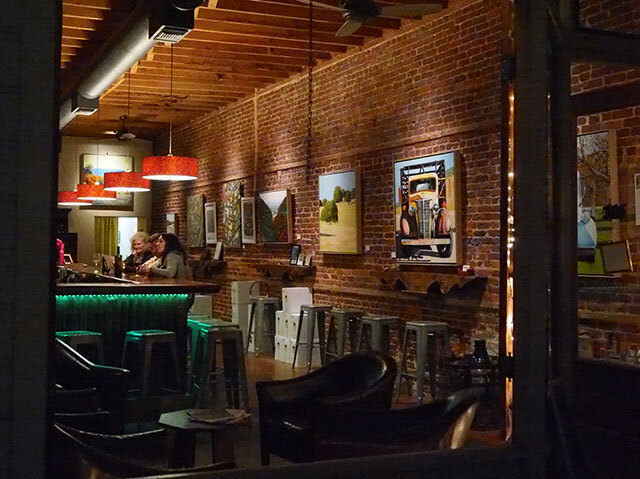 They serve Niman Ranch Chuck Beef, Niman Ranch Pork, Mary’s Free Range Chicken, and Beeler’s Uncured Thick-Cut Bacon. They get seasonal produce from local farms as often as possible and all of their bread is from Truckee Sourdough Company. Most everything, from dressings and Aiolis to beer batter, is made in-house. 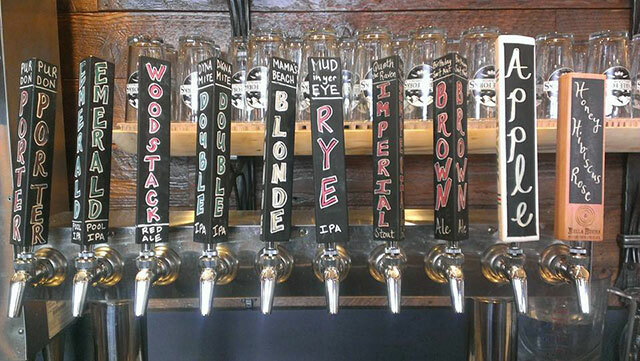 Check out our Wednesday Pint Nights from 5:30pm to closing. Located on Highway 49 in Camptonville, Burgee Dave’s is a destination. A hidden gem tucked away in mountains, it offers excellent food and an even better relaxed environment. There is both indoor seating and picnic tables outside. Known as “The Home of the Ultimate Bloody Mary,” it certainly will not disappoint. When you request their specialty drink, they ring a bell and yell out your order. It’s a party in a mason jar, complete with three bamboo skewers of toppings. I am not joking, it’s insane. In total there are 16 different snacks resting on your glass, along with a few mermaids and a nice fat straw to drink it all up. Open Thursday – Sunday, serving Lunch and Dinner. 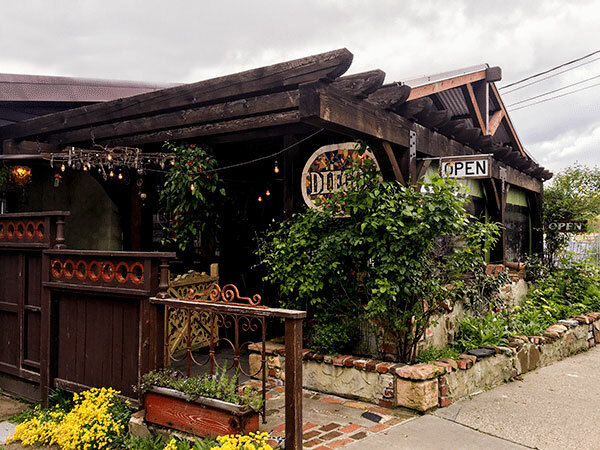 Diego’s in Grass Valley serves Chilean inspired South American food in an eclectic and relaxing setting. 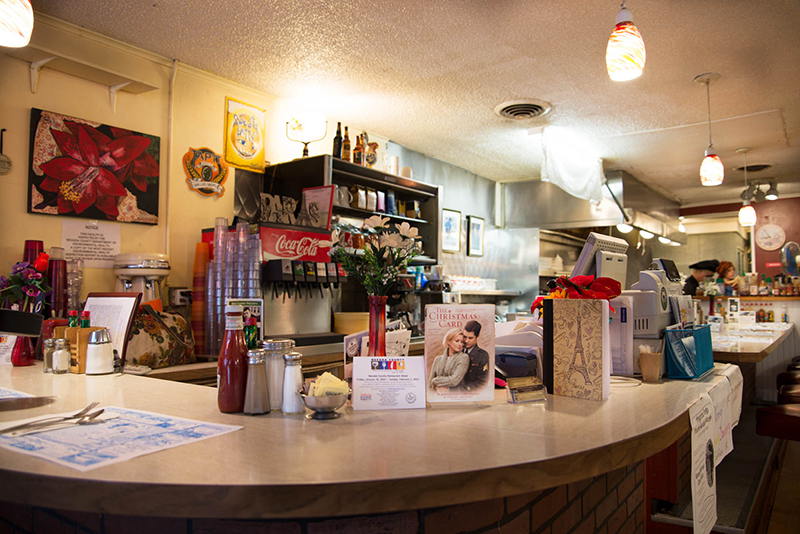 Just on the edge of the downtown area, it’s a local’s favorite. Diego’s features fresh ingredients, professional, quality dishes, generous portions and friendly, attentive service. From the warm, house-made Chilean bread rolls and fresh Latin-style crêpes to the decadent desserts and weekend specials, you will lose yourself in the incredible Latin flavors of the Lower Americas. 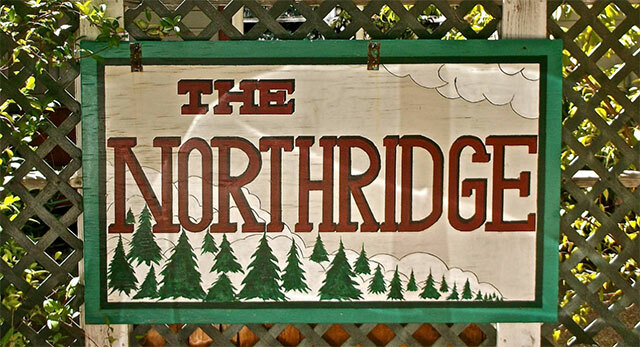 Northridge is great example of traditional old style Nevada County. 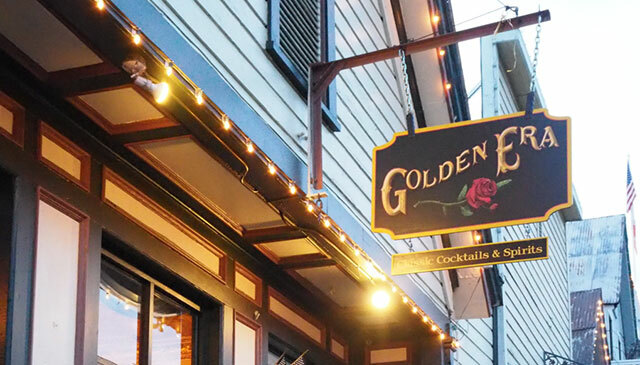 They are tucked away at the top of Nevada Street, out of stumbling distance from downtown Nevada City. With the lots of booths, a pool table, and kids in Little League uniforms, it’s an obvious local’s favorite. Favorite menu items include their pizzas, sandwiches, and hearty salads. If you decide to show up on a Friday or Saturday night, come early! This place is popular. 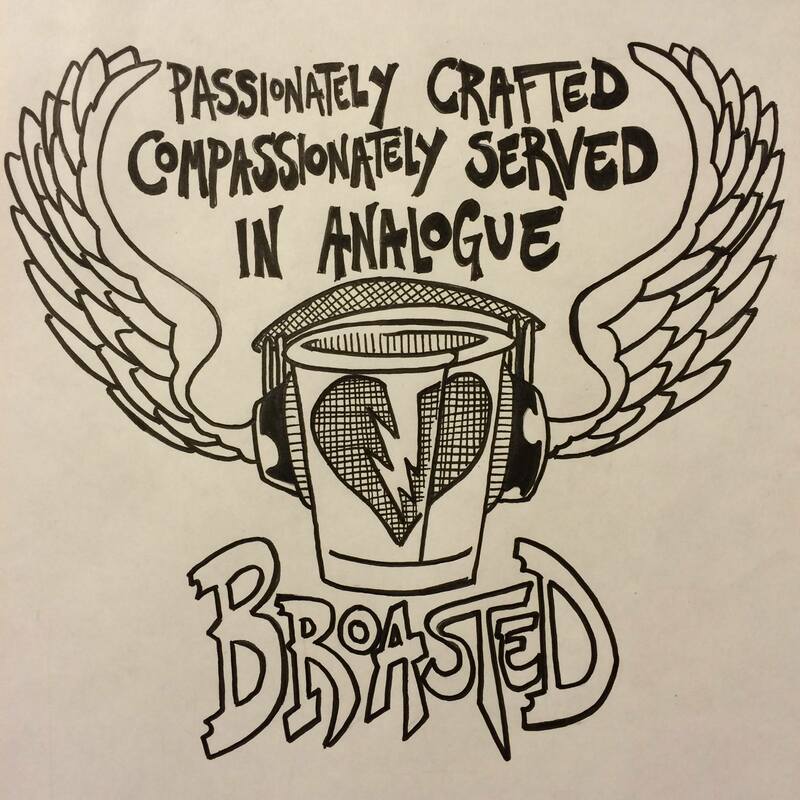 Nevada City’s newest coffee roaster is FoxHound Espresso, and Coffee Broaster. 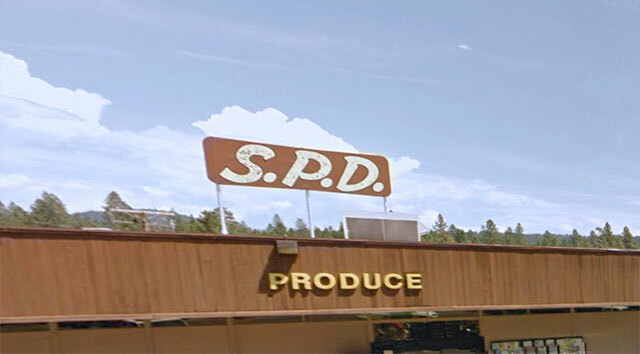 Owned and operated by Steffen Snell, a lone survivor of the year 2000 Cyber Cafe Cyber Wars. He offers passionately served & compassionately crafted, made to order, hand roasted coffee with a strong emphasis on home brewing education and cultural development. We recommend trying one of his locally broasted, locally brewed to perfection coffees (served in a hand-crafted Pickle Pottery mug)! Directly across from Ike’s Quarter Cafe is Treats. It’s a tiny little shop, and sometimes the line is out the door, but it’s worth the wait. They rotate flavors, often depending on the seasons, but some classic favorites are always around. They also offer gelato, sorbet, and vegan options. You can sample the flavors before you choose. Soon, Treats will have a new home less than a block away in the Tinnery, which is currently under construction. 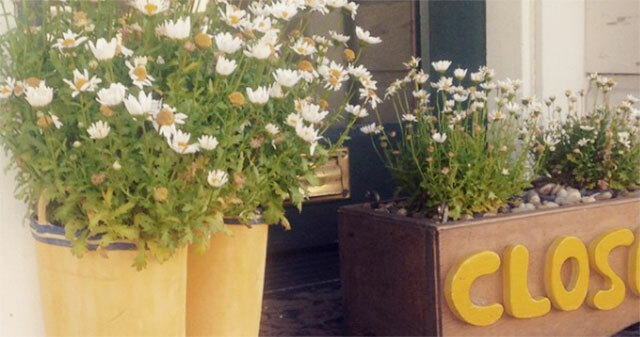 The new location will offer outdoor seating! 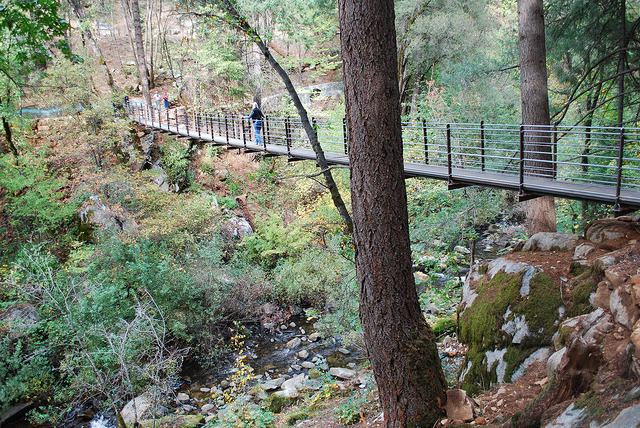 For a beautiful walk and a gorgeous view, try the Suspension Bridge Trail. Start at the Miners Foundry. To the right of the building, you’ll see a street that runs around the back. Once you are on this street, turn right on Factory Street. This road will take you to the Deer Creek Environs Trail and across the Suspension Bridge over Deer Creek. During the school week, this is the walk of choice for local moms, after they drop the kids off at school. If you are staying at Broad Street Inn, walk out of the Inn front door, and turn right onto Bennett Street. Depending on the direction you choose, you can either walk up or down the big hill. If you want to get your heart rate up, turn left off of Bennett onto Monroe. At one point there will be a fork in the trail, stay to the right on Old Downieville Highway. 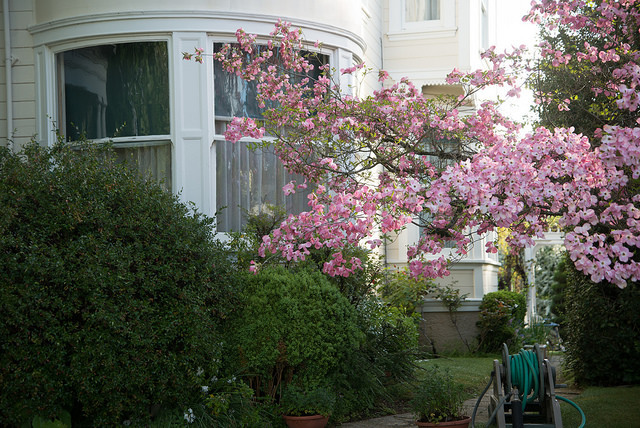 Or, if you’d rather take it easy, keep going on Bennet Street up American Hill. The beginning of American Hill is a little steep, but nothing compared to the hill the other direction. If you’re mapping it on your phone, one landmark you can enter for the halfway point is Queen Lil Place. This road is at the opposite end of the loop from town, and something you can reference to make sure you are on the right path. 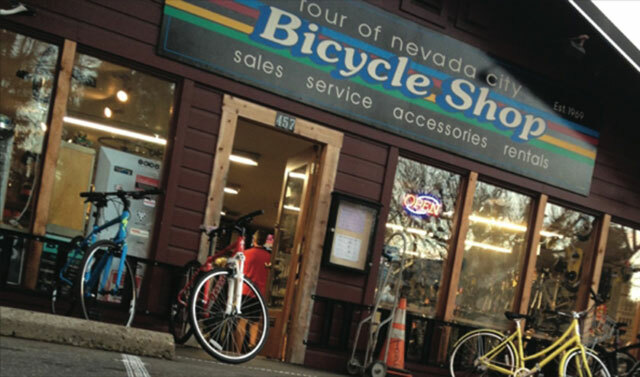 If you’re visiting Nevada City and want to try out some of the local roads and trails, you can rent a bike at Tour of Nevada City. They carry full suspension mountain bikes, quality road bikes, bike racks, and Trail-a-bikes. 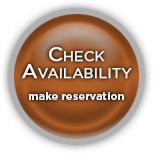 Weekly (10% off) and group rates available. Helmets are no extra charge. Get a free water bottle with the first day rental of any bike! 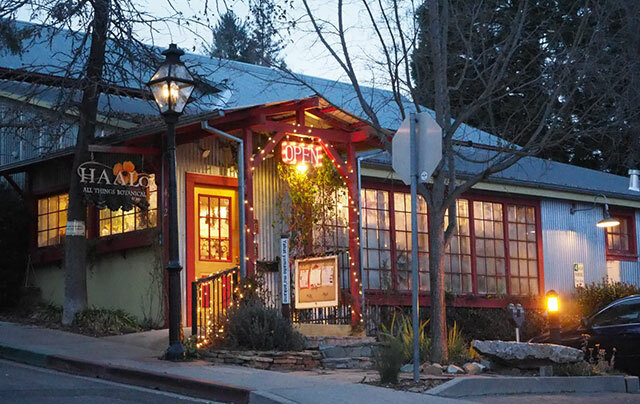 Hope you see in Nevada City soon! 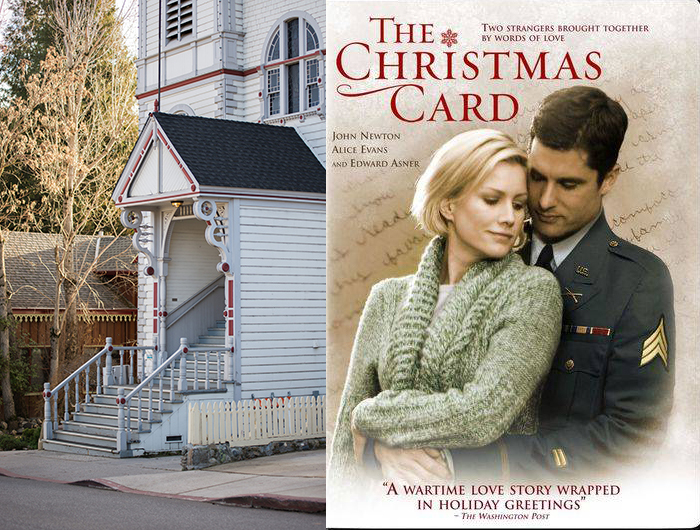 Visit Nevada City & Grass Valley in January for an exciting month of films & theater! If you love films and live theater, January is the month to visit! 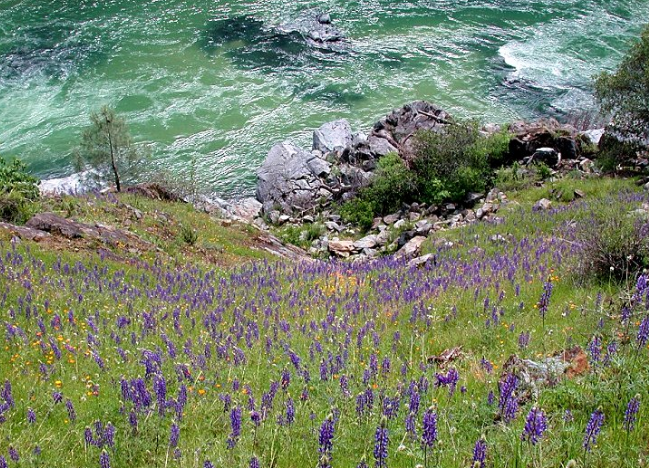 The Wild & Scenic Film Festival takes place January 12-16th. 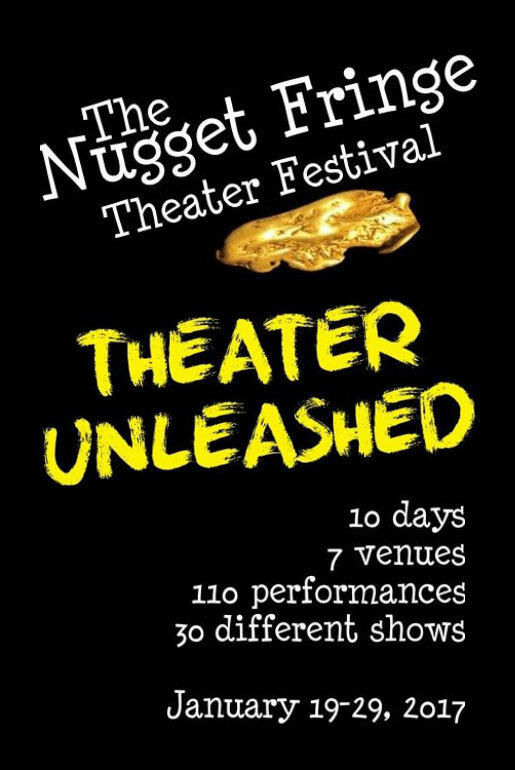 Following that, the Nugget Fringe Festival starts on January 19th and runs for 10-days, through the 29th. On January 22nd, the film “The Best Worst Thing That Ever Could Have Happened” shows at the Nevada Theater. 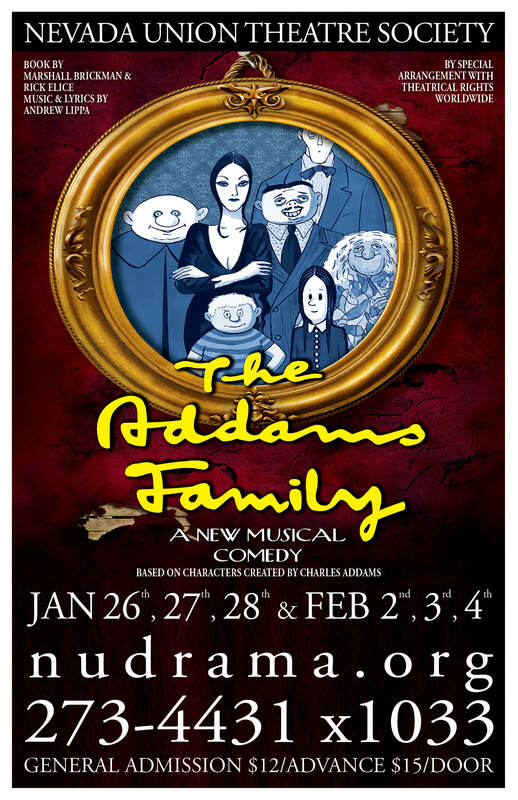 And, Nevada Union Drama’s “The Addams Family Musical” plays the last weekend in January, and the first weekend of February. That’s a lot of good theater and film in the month of January! 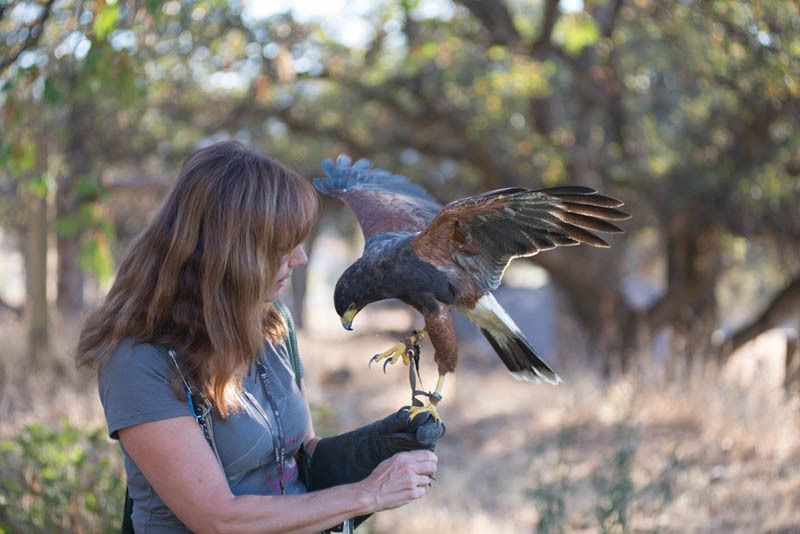 This January, SYRCL’s (South Yuba River Citizens League) Wild & Scenic® Film Festival returns with another incredible selection of films to change your world. 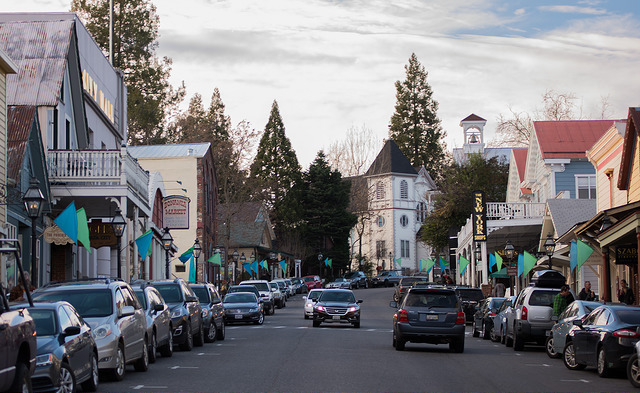 Each year, the Wild & Scenic® Film Festival draws top filmmakers, celebrities, leading activists, social innovators and well-known world adventurers to the historic downtown of Nevada City, California. Considered the largest film festival of its kind, the films combine stellar filmmaking, beautiful cinematography and first-rate storytelling to inform, inspire and ignite solutions and possibilities to restore the earth and human communities while creating a positive future for the next generation. 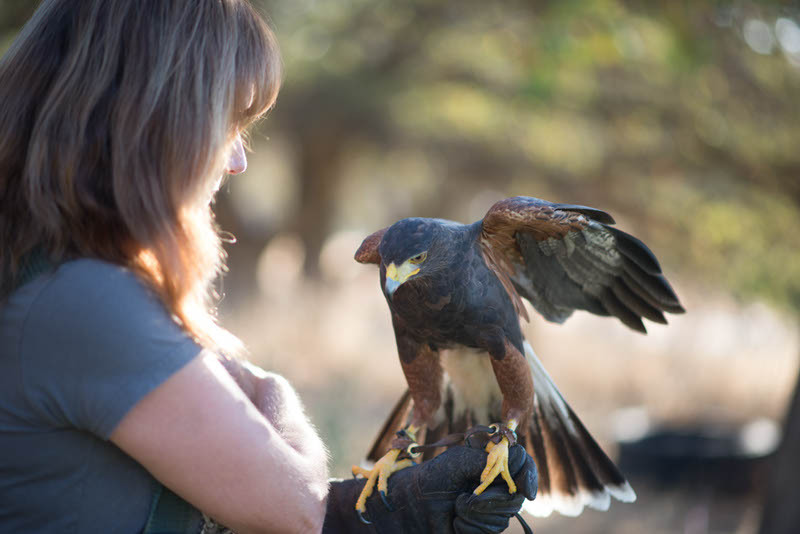 Festival-goers can expect to see Award-winning films about nature, community activism, adventure, conservation, water, energy and climate change, wildlife, environmental justice, agriculture, Native American and indigenous cultures. 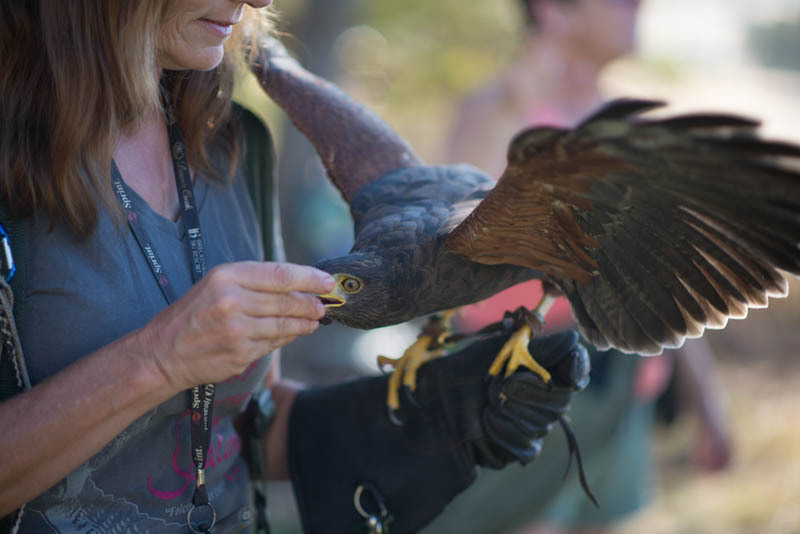 Wild and Scenic Film Festival informs, inspires and ignites solutions, and creates positive probabilities to restore the earth and human communities. Now known as “the next Sundance” the Wild and Scenic experience proves the power of film and passion. If you aren’t attending the film festival, there are still loads of things to do throughout the weekend. Here are some events that are free and open to the public! A special artist reception is open before the 3D film session at the Del Oro Theatre. 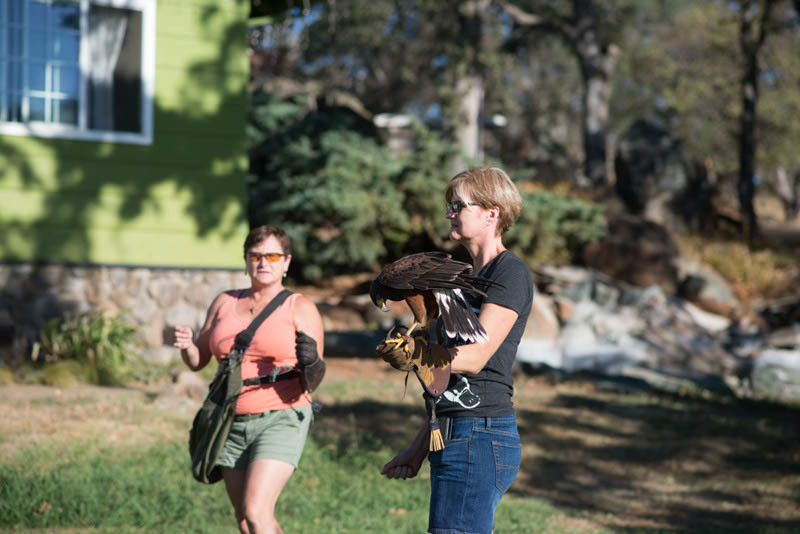 Dive into the world of Virtual Reality with four environmental-themed experiences, including one world premiere experience of our very own Yuba River, filmed by the students of the Connected Communities Academy. 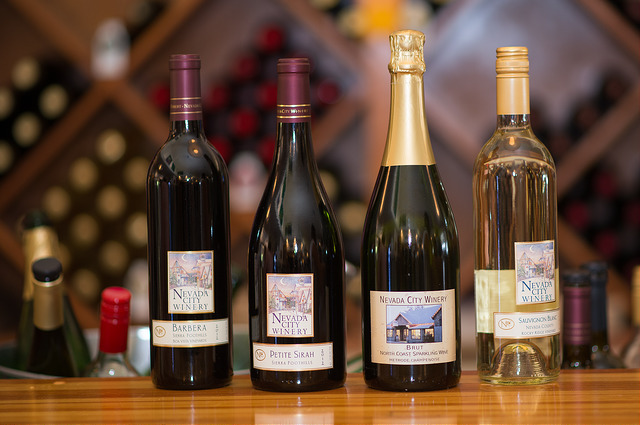 Start the festival off with light hors d’oeuvres, local wine, beer from Sierra Nevada Brewing Co. & Barefoot bubbly. You’ll be sure to run in to filmmakers, special guests and locals. Be sure to visit our Enviro Fair on Commercial Street for more information about the organizations mentioned in many of the films and how to get involved. 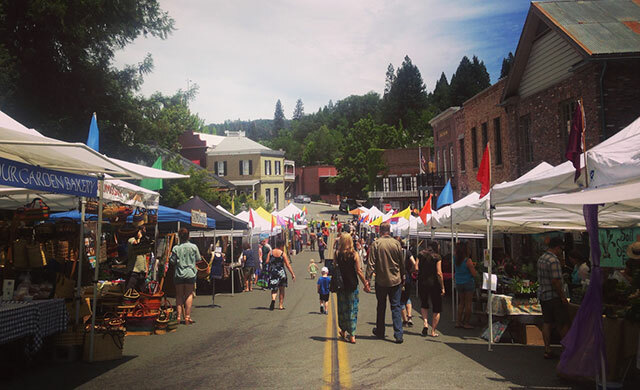 10 special workshops & presentations hosted in Nevada City throughout the Film Festival weekend. Learn more about the issues and what you can do, get filmmaking tips from pros, and much more. Donation-based yoga all weekend for festival attendees. Join Earthjustice Wildlands Campaigner Rebecca Bowe in a conversation about the once-in-a-lifetime chance to restore iconic salmon populations. Join Synergia Learning Ventures’ youth staff, and community organizer Chad Nicholson (from the film, We the People 2.0) in an interactive workshop for those who care and those who are curious. We will look at the powerful force of film and storytelling, then at what youth can do to assert your rights to make the decisions that affect you, your community, and nature. Geared toward youth, appropriate for all ages. Youth receives priority seating if venue is full. Jordan Fisher Smith discusses his new book, Engineering Eden, over craft cocktails. Engineering Eden has been nominated for the 2017 PEN/E.O. Wilson Literary Science Writing Award, and the Wall Street Journal calls it “intensely reported, rousingly readable, and ambitiously envisioned.” Book signing to follow. Meet this year’s special guests, Gary Snyder and Tom Killion, for an art reception and book signing. Killion’s artwork will be on display all weekend long. 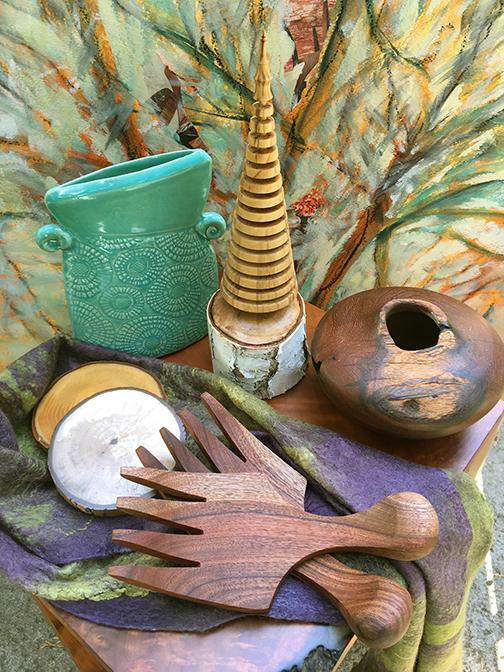 Snyder and Killion will also be giving a special multi-media presentation on Saturday Evening at the Del Oro Theatre, showcasing Snyder’s poetry and Killion’s art. 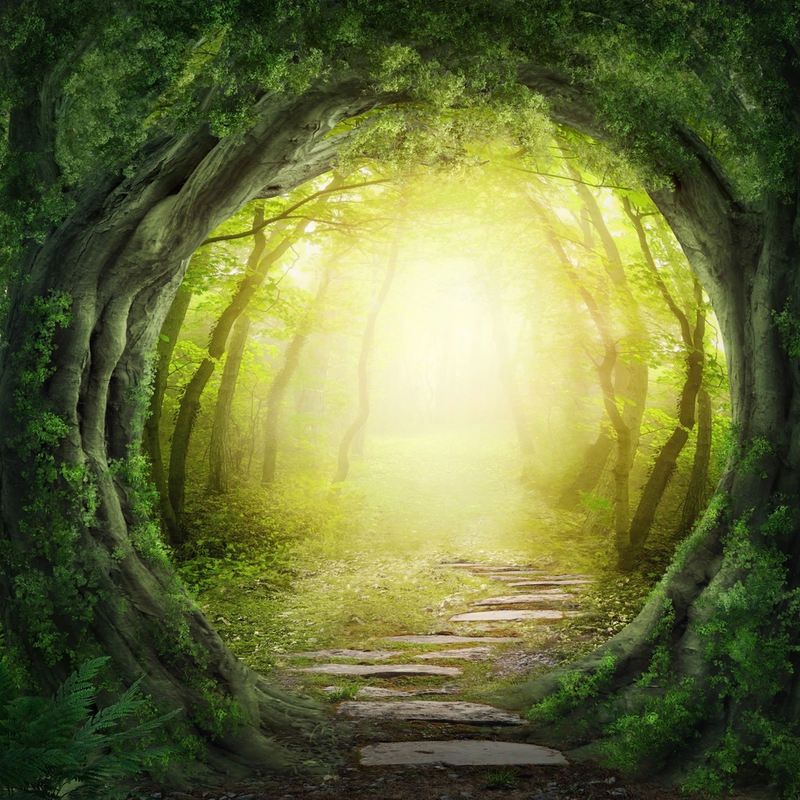 Explore the heart’s wisdom and connection to nature as a gateway to unlimited creativity. Join river activist Mark Dubois and his wife, Clare, Treesisters.org founder, for an intimate search of the ‘through line’ through today’s whitewater. Join Chad Nicholson, community organizer with CELDF, the Community Environmental Legal Defense Fund, if you are ready to engage a different kind of activism. 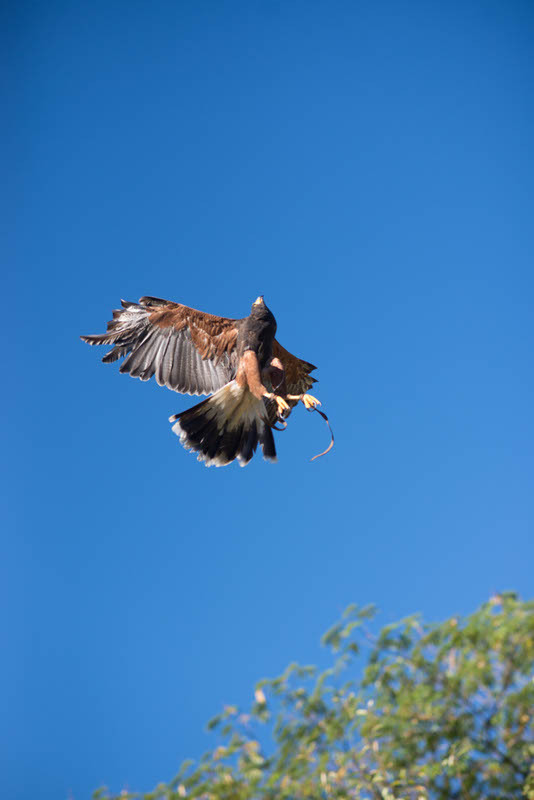 Join Bear Yuba Land Trust for this three-mile Sunday morning stroll exploring Hirschman Trail and Pond. 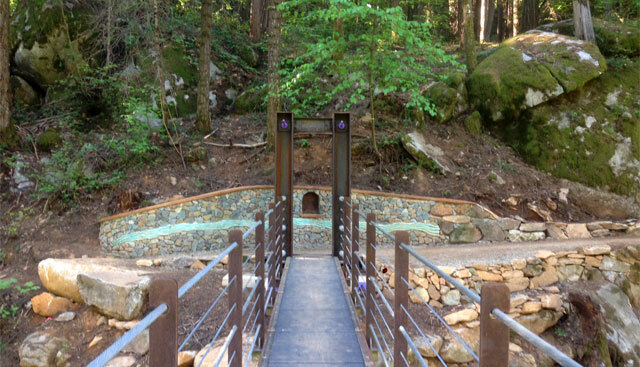 Located a mile from the heart of downtown Nevada City, this lovely trail tells the story of environmentally damaging Gold Rush hydraulic mining and how nature heals itself over time. Trailhead on Cement Hill Road; on the right just up from the intersection with Hwy 49. The Nugget Fringe Festival brings you music, performance art, talks, burlesque and theater from some of the most daring artists from the local area, as well as seasoned fringe artists from around the country. One of this year’s artists has been invited to perform all over the world! Time Out: Don’t bring up gender, OK? Directed by Paul Verhoeven and starring Isabelle Huppert. Michèle seems indestructible. Head of a successful video game company, she brings the same ruthless attitude to her love life as to business. Being attacked in her home by an unknown assailant changes Michèle’s life forever. When she resolutely tracks the man down, they are both drawn into a curious and thrilling game-a game that may, at any moment, spiral out of control. Directed by Mike Mills. Set in Santa Barbara, the film follows Dorothea Fields (Annette Bening), a determined single mother in her mid-50s who is raising her adolescent son, Jamie (newcomer Lucas Jade Zumann, in a breakout performance) at a moment brimming with cultural change and rebellion. Dorothea enlists the help of two younger women in Jamie’s upbringing — via Abbie (Greta Gerwig), a free-spirited punk artist living as a boarder in the Fields’ home, and Julie (Elle Fanning), a savvy and provocative teenage neighbor. Sunday & Monday January 15 & 16, 2017 at 7 p.m.
Sunday, January 22, 2017 at 7 p.m.
1hr 35 min – Not Rated. One of the truly legendary musicals in the history of Broadway, Stephen Sondheim’s MERRILY WE ROLL ALONG opened to enormous fanfare in 1981, and closed after sixteen performances. BEST WORST THING draws back the curtain on the extraordinary drama of that show’s creation –and tells the stories of the hopeful young performers whose lives were transformed by it. 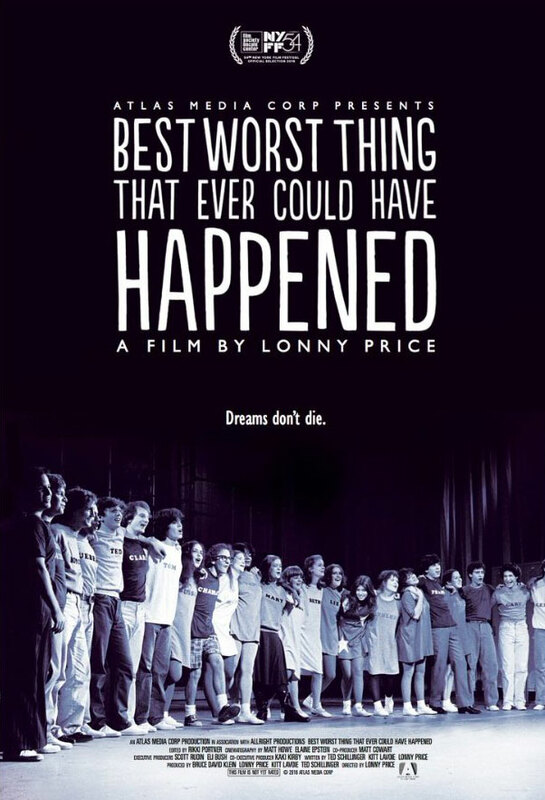 Directed by Lonny Price, a member of the original cast, the film is a bittersweet meditation on the choices we all make, and the often unexpected consequences of those choices. Featuring exclusive appearances by Stephen Sondheim, Hal Prince, Jason Alexander, Mandy Patinkin, Adam Guettel, Frank Rich and the original Broadway cast of MERRILY WE ROLL ALONG. Tickets can be purchased at Sierra Theaters. “THE ADDAMS FAMILY MUSICAL”, a musical take on the distinguished cult-classic. General admission seating begins at 6:30pm. Door tickets sales begin at 5:45pm before each performance. Gomez Addams is about to face every father’s nightmare: his daughter Wednesday, the ultimate princess of darkness, has grown up and fallen in love with a sweet, smart young man… from a respectable Ohio family! And if that weren’t upsetting enough, Wednesday has invited Lucas and his parents to dinner, insisting that the Addams act “normal” for just one night. In the resulting (and not altogether unexpected) chaos, secrets are disclosed, relationships are tested, and both families are changed forever, proving once and for all that love conquers all. 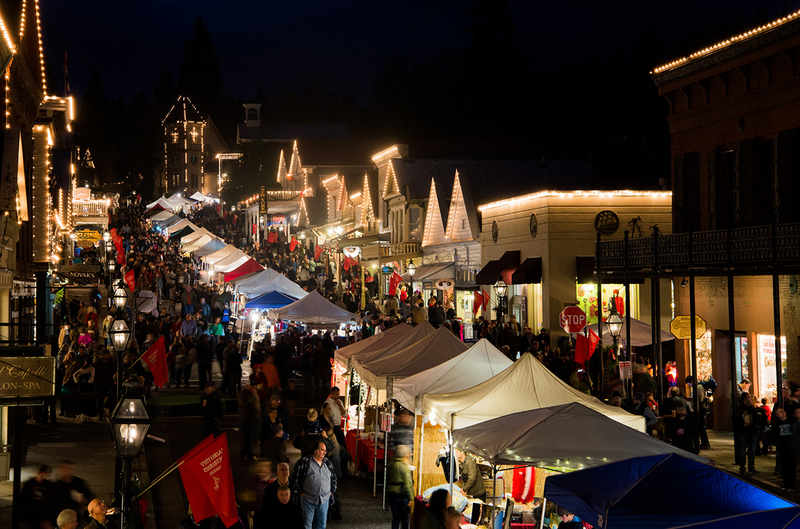 There are so many things to do during fall in Nevada City! Options range from fall treats, to beautiful colors, to the most charming Halloween you’ve ever seen, and much more. Here are a few examples. Come to Bierwagen’s to pick pumpkins that are perfect for carving and participate in many other fun activities. Hours are Mon-Fri noon-5pm, Sat/Sun 10am-5pm. On weekends the Snack Shack is available with a full menu. There are savory and sweet treats to satisfy everyone! These include apple fritter nuggets, caramel apples, sandwiches, fries, chili, among other delicious options. 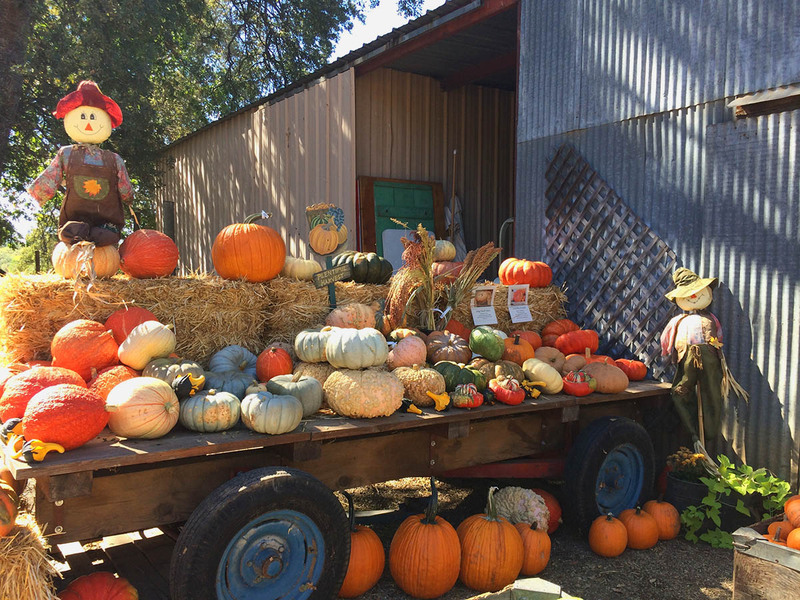 There are pumpkins and lots of other fall decorations, tractor-drawn hayrides, fresh apple cider, apples, and winter squash. Parking and admission are free. 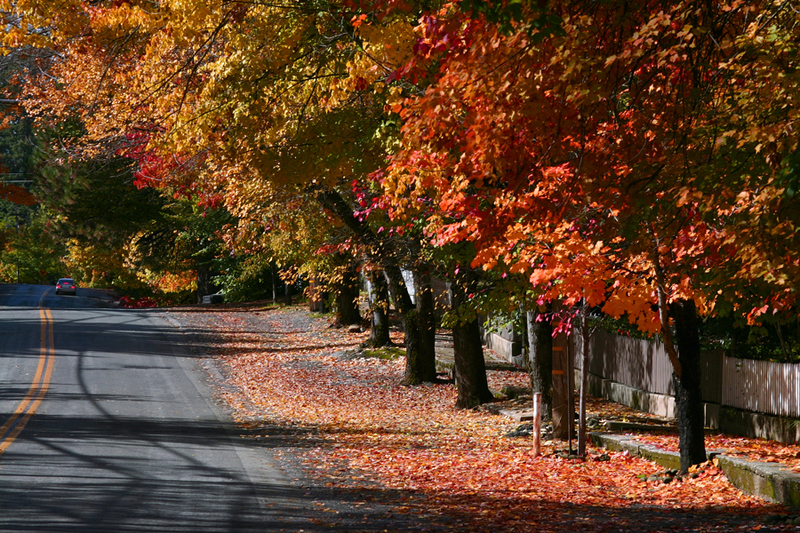 Some of California’s best fall colors are found in the historic Gold Rush towns of Nevada City and Grass Valley, and along the Yuba-Donner Scenic Byway through Tahoe National Forest in the northern Sierra Nevada mountains. Fall weather conditions at 2,500 feet in the Sierra foothills favor formation of brilliant colors in the landscape. 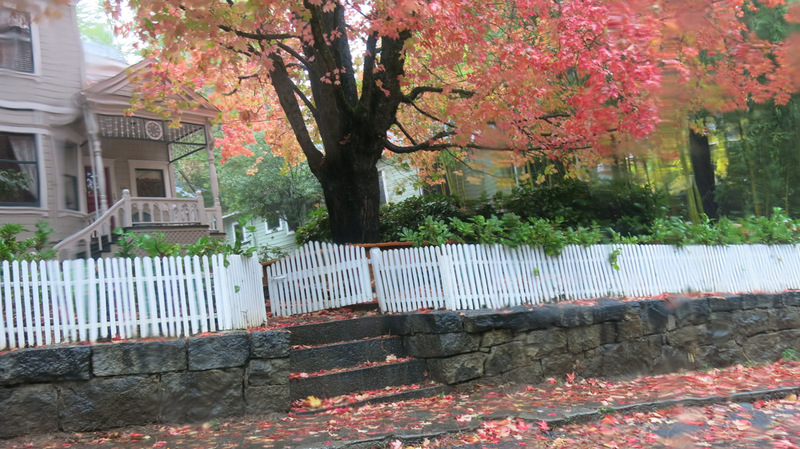 The Victorian California Fall Colors Tour is a 1-2 hour, self-guided tour that makes a partial figure-eight through two of California’s oldest commercial and residential districts, taking you along narrow Victorian streets planted with Maple, Ash, Birch and other beautiful trees. If you’d like to see a bit more scenery and get in a little exercise, there are lots of trails in and around Nevada City. 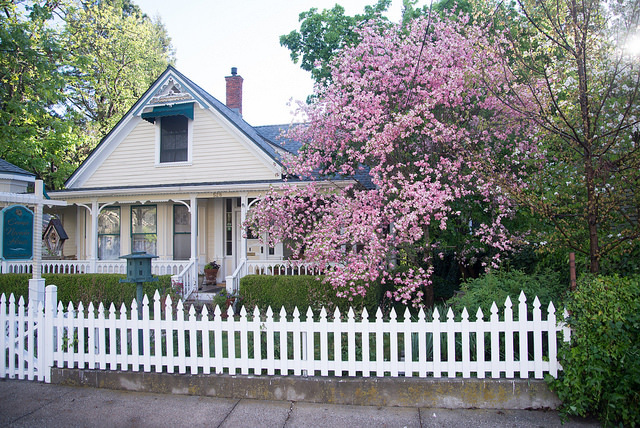 You can go for a bike ride, walk along the river, see historical landmarks, and much more. With cool temperatures, the trees changing colors, beautiful lighting, and serene nature, you’ll find something amazing on each and every trail. 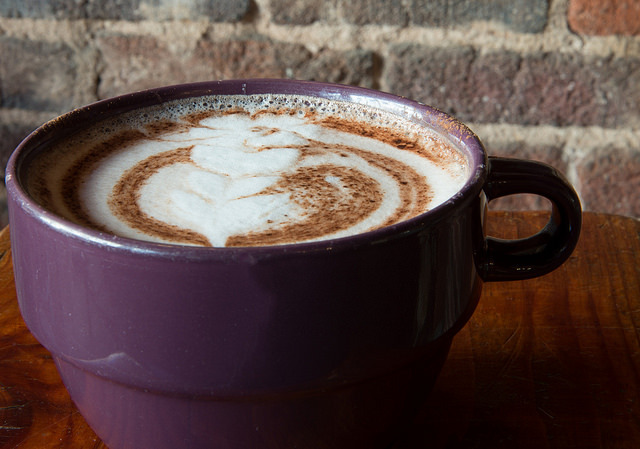 The moment of stepping out of the cold air and into a nice, cozy coffee shop is one of the most amazing moments you can experience during fall. A few local coffee shops are Java Johns, The Curly Wolf, and The Fox Hound. 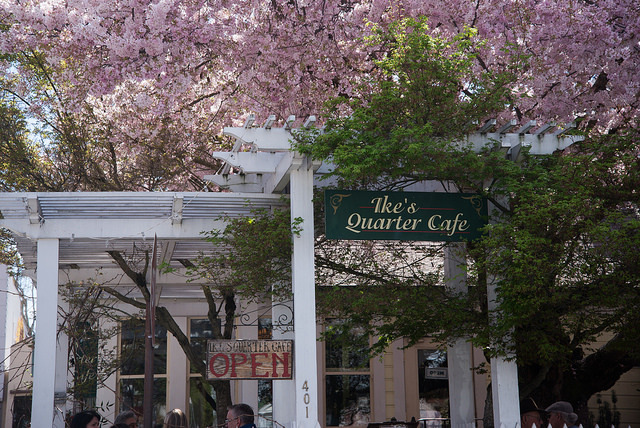 There’s lots of small town charm in each of these establishments. You can get a wide range of drinks and foods in all three. 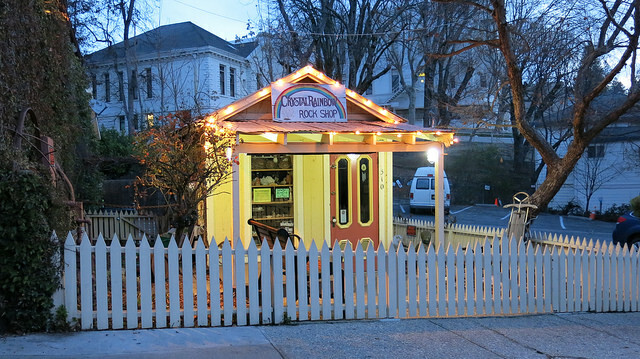 And for a sweet treat, stop in at the Nevada City Chocolate Shoppe for homemade caramel apples and seasonal goodies. 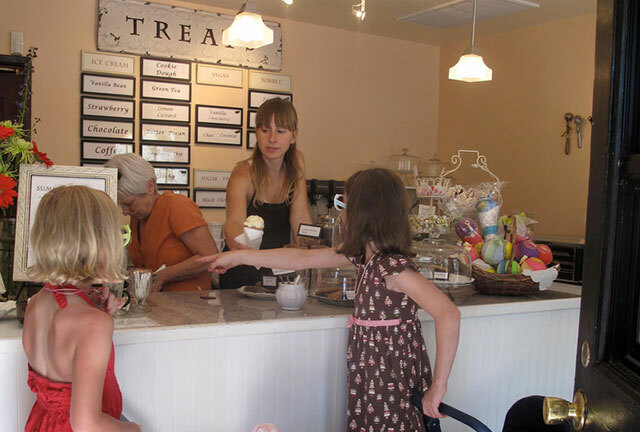 Treats is an ice cream shop in downtown Nevada City that offers artisan ice cream, baked goods, and warm drinks. 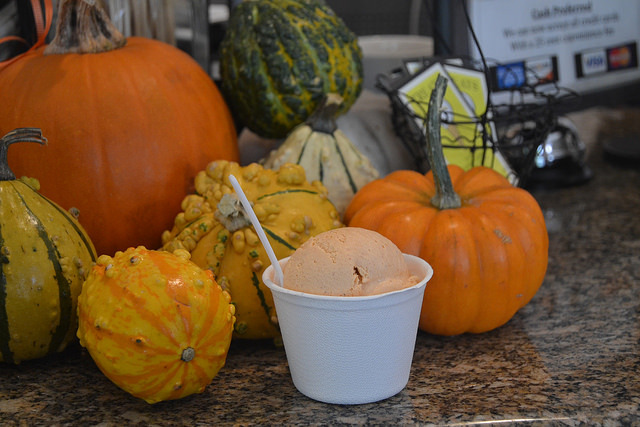 This time of the year their pumpkin ice cream is available, so be sure to try it out! 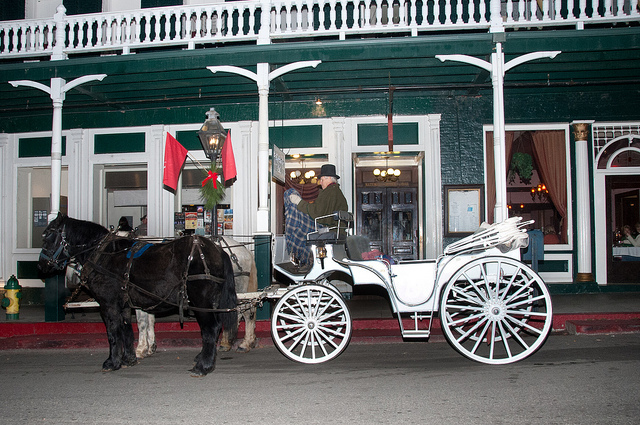 Halloween in Nevada City is different from anywhere else. People go all out in decorating their homes, and the combination of mature trees and Victorian homes adds a spooky flare. 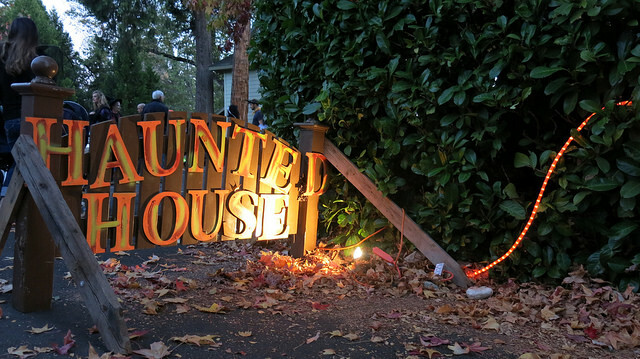 What really makes Halloween special is how tightly knit our community is. It’s a big social event for the locals. Groups of children hurry from house to house with the streets closed for prime trick-or-treating. 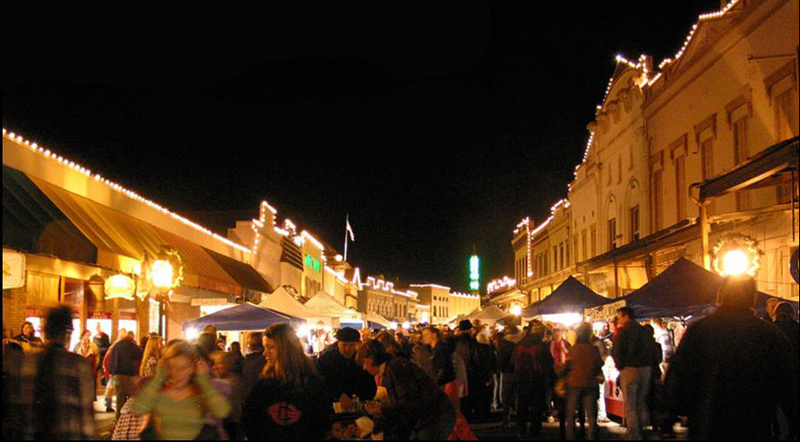 So bundle up and visit Nevada City this October and November. 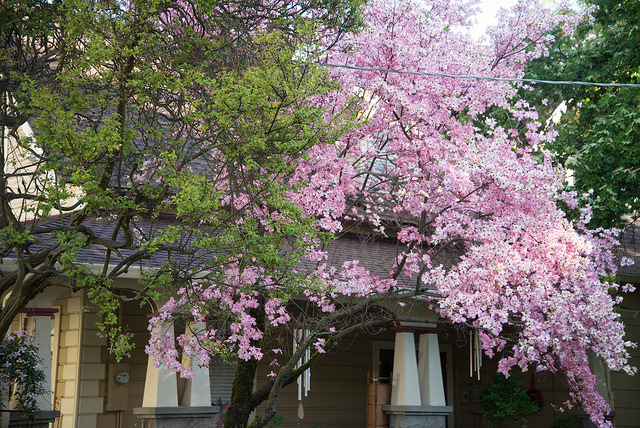 The area has four distinct seasons: snow in the winter, wildflowers in the spring, hot summer nights, and the most scenic season of all…. fall. On those days when your house is hot, your kids are wiggly and you don’t feel like sitting in the sun by the pool… take your kids to one of the local museums! Completed in the Spring of 1861, this firehouse was home to Nevada Hose Company No.1 from 1861 to 1938. During those nearly 80 years, horse -drawn fire wagons and handcarts and “modern ” motorized fire engines rolled out the doors. In 1947 the Nevada City City Council donated the use of the building to the Nevada County Historical Society to house its museum. The brick building originally had a much simpler façade of the Greek revival style, with a tall bell tower. 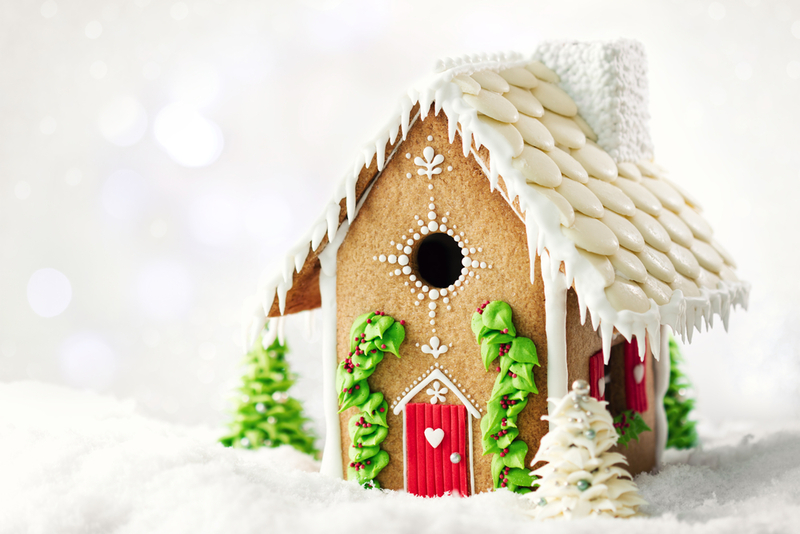 In the early part of the twentieth century, the facade was replaced by the present Victorian gingerbread front. 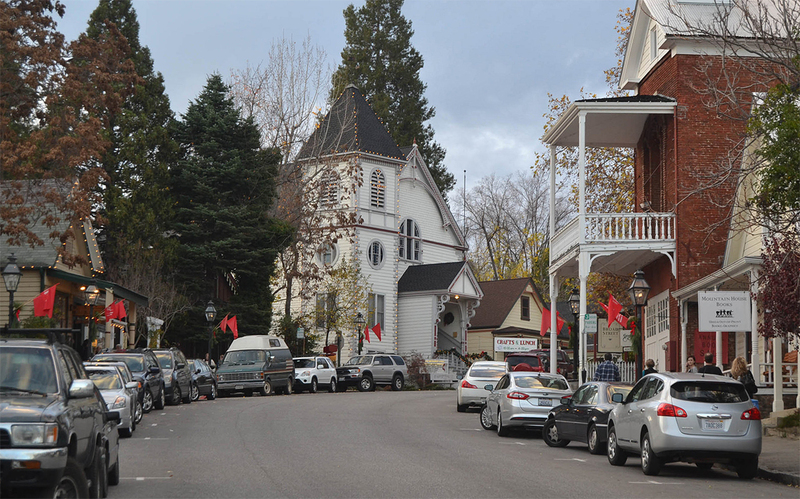 Today the firehouse has become a symbol of Nevada City. 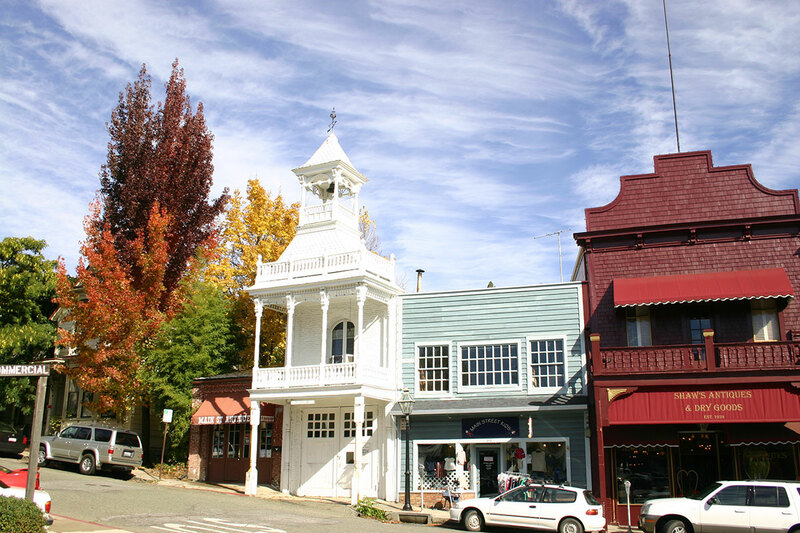 It is probably the most photographed building in Nevada City, as visitors are struck by its victorian grandeur. 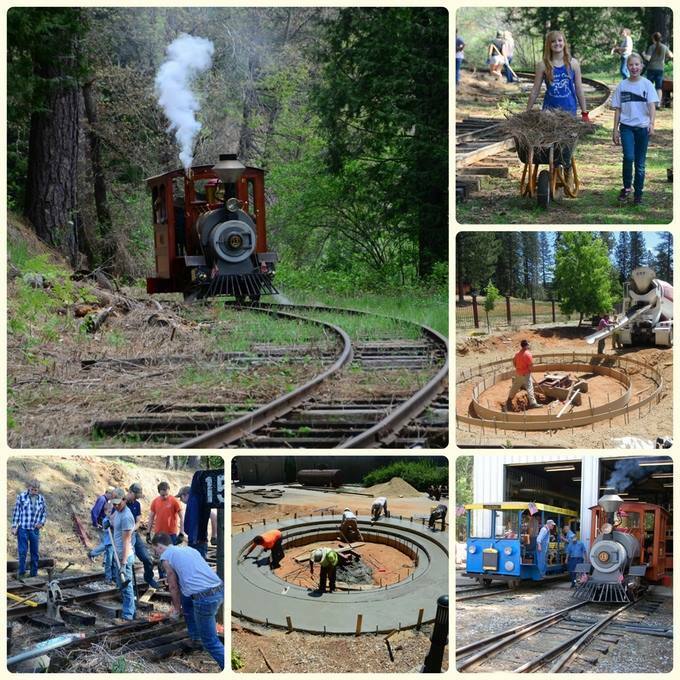 Located in Nevada City, California, the Nevada County Narrow Gauge Railroad Museum is dedicated to the preservation of local transportation history and artifacts from the narrow gauge railroad era. In addition to the railroad, this Sierra foothills county boasted such turn-of-the 20th century transportation as an electric streetcar line, a steam powered automobile, and the first commercial airport in the United States. Visitors are offered a docent-led historical tour of the museum, rail yard, and restoration shop. Exhibited in the main gallery is Engine 5, an 1875 Baldwin that began service hauling lumber, then passengers and freight for the NCNGRR, and finally as a movie engine at Universal Studios in Hollywood. The rail yard houses a collection of wooden rail cars, some restored, others awaiting their turn in the restoration shop. The shop is usually a busy place with volunteers doing rolling stock maintenance and other restoration projects. The museum’s Gift Shop offers visitors a choice of many railroad-related items. 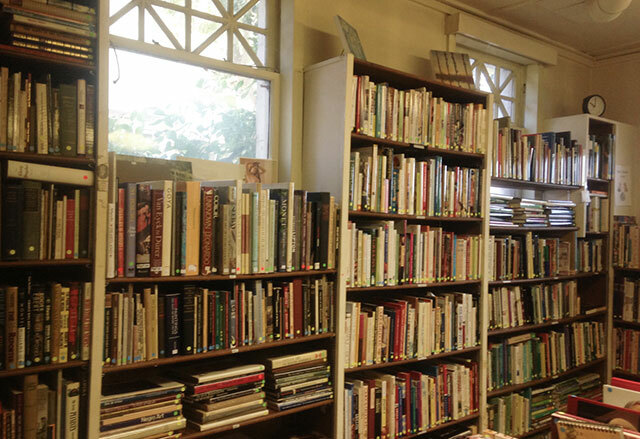 The Searls Historical Library is the archive of the Nevada County Historical Society. The original building was donated to the Society by the descendants of one of the earliest attorneys in the area, Niles Searls. Established in 1973, the Searls Library has become one of the premier libraries of materials on the area’s history, people and mines which contributed to the development of this county. 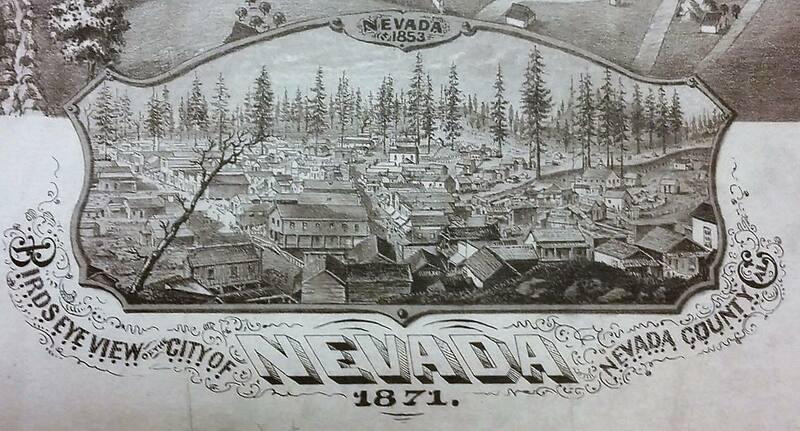 Researchers are welcome to access over 21,000 Nevada County historical photographs, nearly 3,000 printed books on early California and Gold Rush history, and nearly 1,000 maps of the area. The Searls Library also contains innumerable original documents, including ledgers, diaries, old county records, and letters. The Searls family of attorneys also left their early law case records, many of which are the only copies in existence. The volunteer staff is happy to help with research. Fees for use of the library are by donation. There are small fees for reproduction of photos, maps, and photo- copies of items. If you cannot personally come to the Searls, inquiries are accepted by mail and the volunteers will do the research. The charge for this service is $20/hour, plus copying charges. If you are planning a visit, it is recommended that you call during business hours to verify that we will be available to help you. Open Monday -Saturday, 1pm -4pm or by appointment. An exhibit of hundreds of mining artifacts, including a working Stamp Mill and Cornish Pump, the largest Pelton Wheel ever constructed. 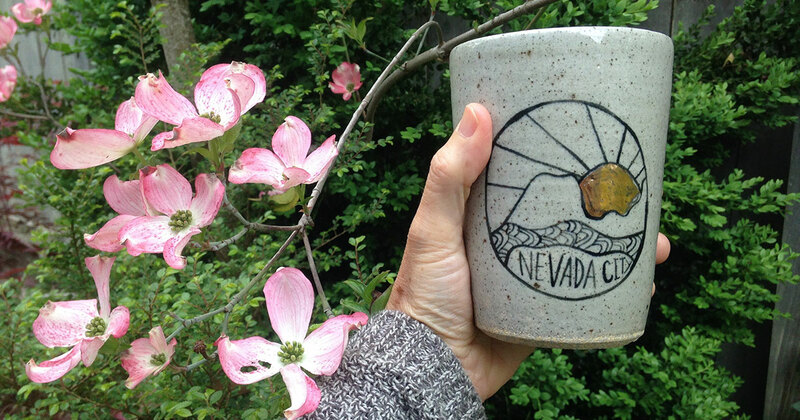 No county in the Gold Country is more intimately connected with all aspects of gold mining than Nevada County. 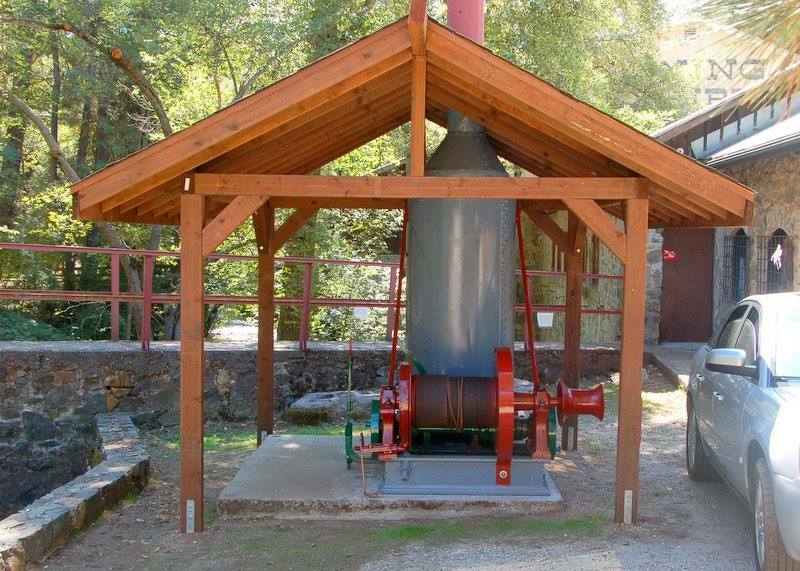 Here some of the earliest placer mining took place, here much of the hydraulic mining was practiced, and here deep quartz mining was started. Today, the placers are all but worked out, hydraulic mining was virtually forbidden in 1884 and the last of the deep quartz mines closed down in 1959. With gold advancing from $34 per ounce to over $400 per ounce, a number of small mines are now in operation. The equipment of the mines was sold or vanished in other ways. 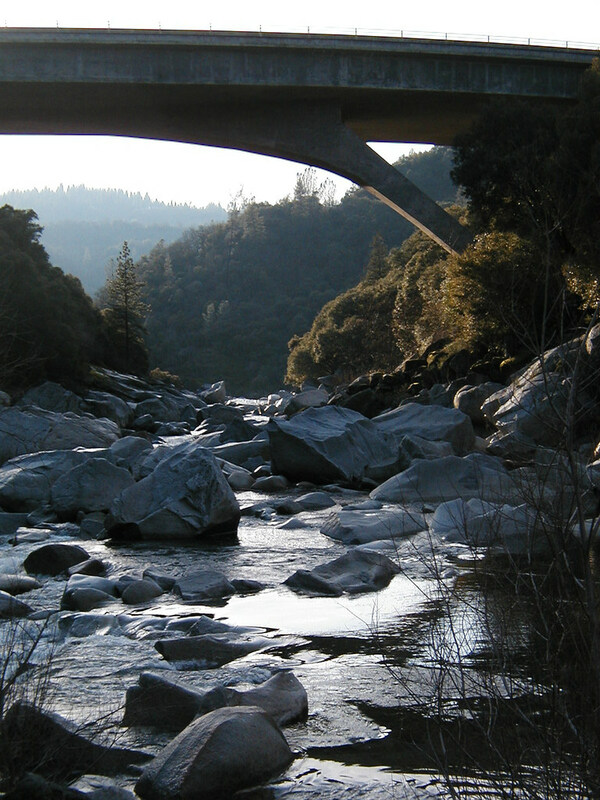 But for the efforts of some far-seeing citizens, such as Arthur Dowdell, former assayer of the Empire mine, only the foundations of former buildings from the mines or the immense chasms, left by the hydraulic operations, would remind one of the former great industries of Nevada County. Arthur Dowdell collected a large number of objects relating to gold mining, which he presented to the Nevada County Historical Society in 1968. 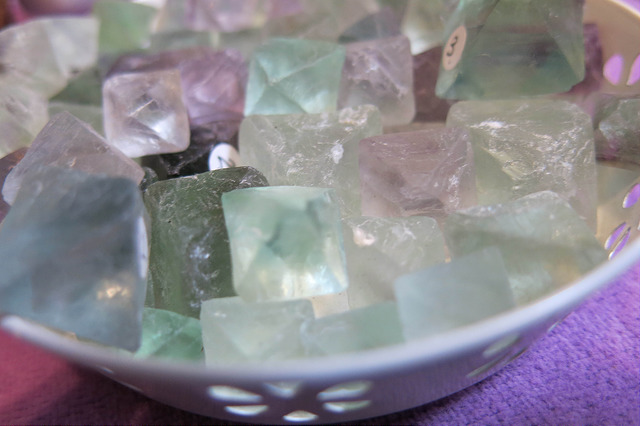 These objects formed the nucleus of the first Nevada County Mining Museum, which was opened on Mill Street, Grass Valley in that year. Each year Empire Mine welcome thousands and thousands of visitors from all over the world. 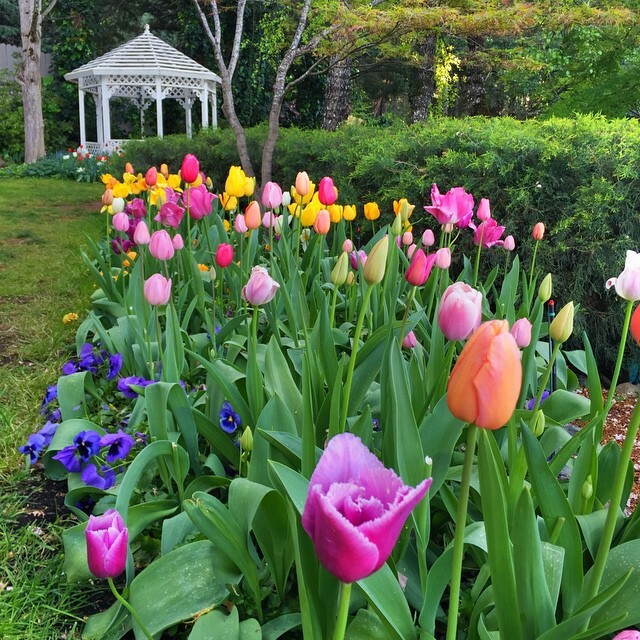 Many come to discover the gritty hard-rock mining history, while others are lured by the splendor of Empire Cottage, with its glorious gardens and fountains. Empire Mine State Historic Park’s close to 850 acres include miles of scenic trails for hiking, biking, dog walking and horseback riding. Bring a picnic lunch, and enjoy a memorable day at one of the oldest, largest and most prosperous gold mines in North American history. In the early 1900s, Empire Mine was in its hey days. Stamp mills thundered 24 hours a day. You could set your watch by its haunting whistle that reminded local residents all systems were go at the prosperous Empire Mine. Open for business from 1850 until its closing in 1956, Empire Mine produced 5.8 million ounces of gold. Miners from Cornwall, England – and all over the world – left their homes to be part of the action. 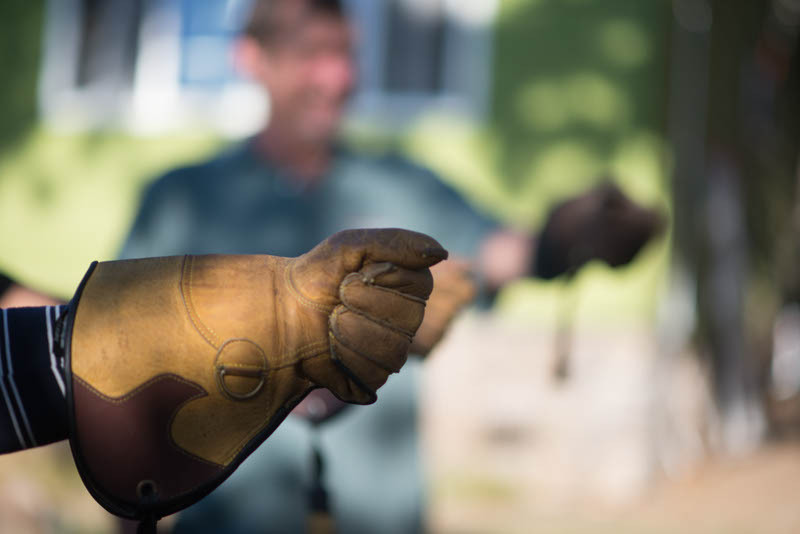 Under the auspices of owner William Bourn, Jr. and successful mine manager George Starr, Empire Mine changed local, national and world history forever. Today visitors can walk in their footsteps – and experience what life was like in those heady times. 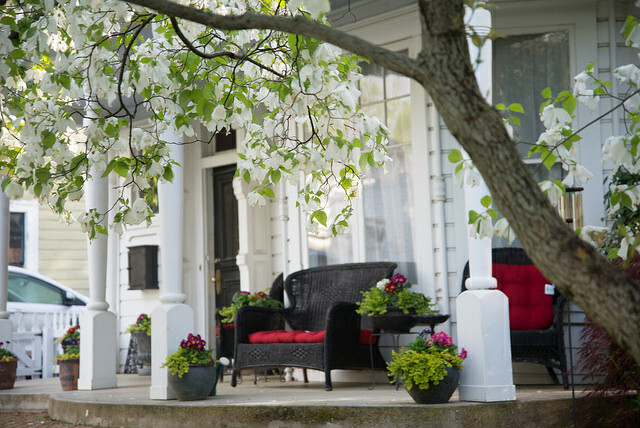 There’s prestigious Empire Cottage, designed by famed architect William Polk, and the Clubhouse known for its lavish entertaining. 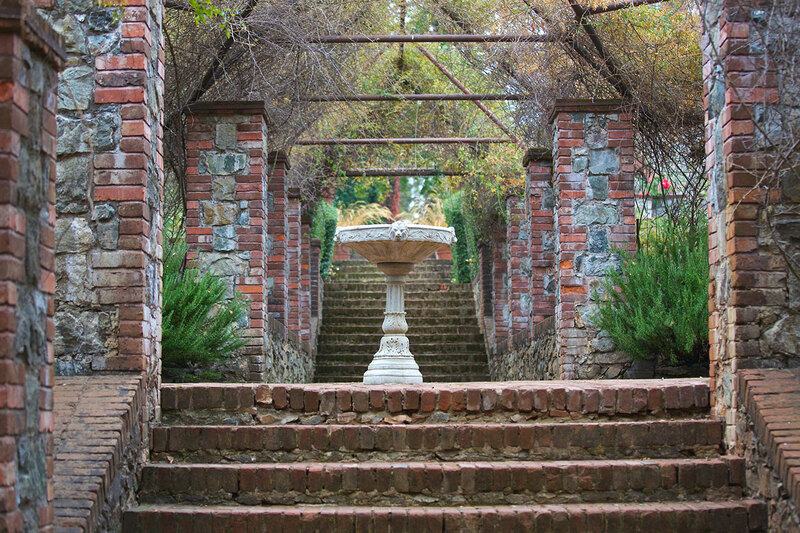 You can stroll through the rose gardens, and marvel at the majestic landscape. 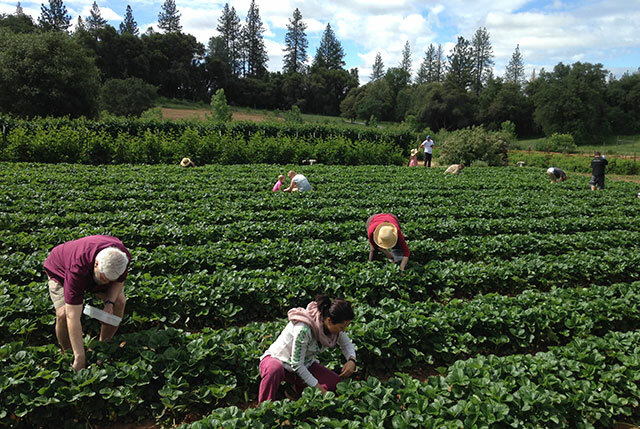 A visit to the Mineyard reveals the other side of prosperity. Here’s where shirt sleeves were rolled up for hard work, and mules were an essential source of power. The Machine Shop and Blacksmith Shop were the hubs for maintenance and progress. A visit to Empire Mine State Park is a legacy of vision, hard work, and wondrous wealth. Tours, a film, artifacts, old mining equipment, factual interpretive panels, and a dramatic model all bring our golden history to life. 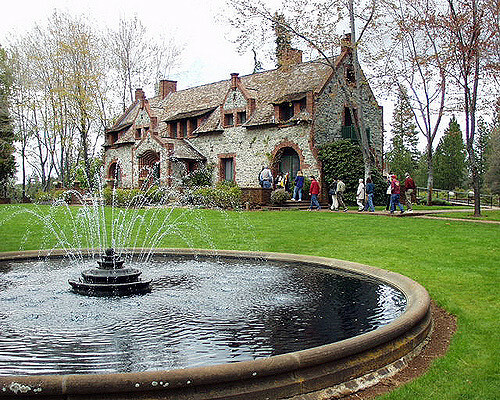 Tours: Cottage, Mineyard and Grounds & Gardens included with the entrance fee. Cottage Living History Experience is $2.00 and FREE for children under 6. 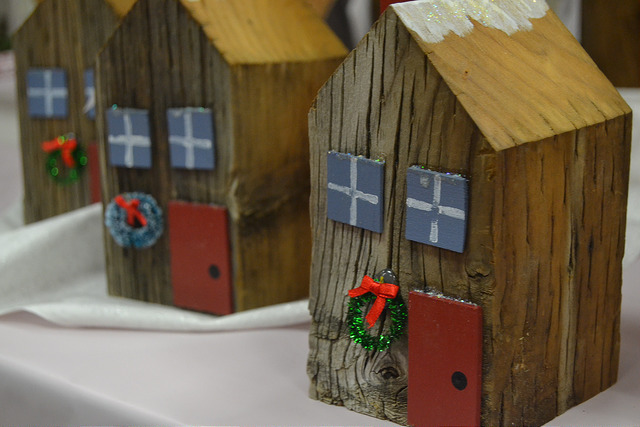 NOTE: Although credit cards are accepted in the Gift Shop, entrance fees must be paid in cash or by check. Announcing the winners from this year’s film festival! People’s Choice winner was “Unbranded,” a film about four cowboys who ride 16 Mustangs 3,000 miles through the wildest terrain in the American West to inspire conservation efforts and prove the worth of 50,000 wild horses and burros living in holding pens. The Best of Festival was “The Burden.” At the Sunday night “Best Of” film series in the Nevada Theatre, Melinda Booth, Wild & Scenic Film Festival Director, introduced the film and shared the comments from the jury about their choice. Long-time juror Chuck Jaffee called it the most important filmed to ever be shown at the festival. It’s a ground-breaking environmental film that puts both Republicans and Democrats on the same side. Watch it, and share! It’s important. 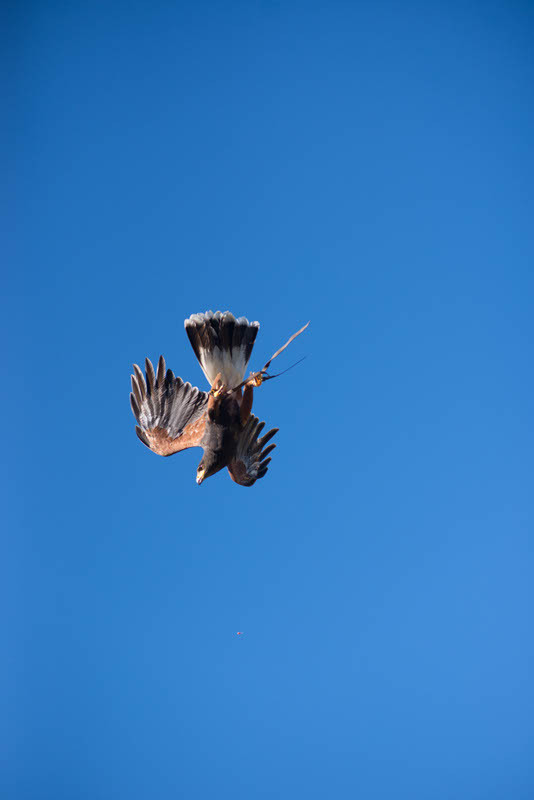 If you missed the Wild & Scenic Film Festival, you can still watch the films. SYRCL has a lending library where members can check out the films, and many of the films can be found on Netflix, YouTube, and Vimeo. Best Film: Worse Than Poop! 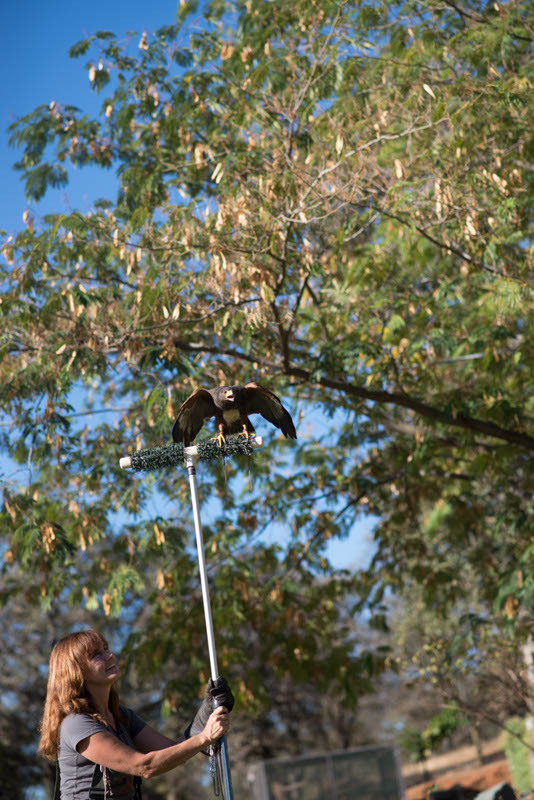 I have been wanting to visit West Coast Falconry for quite some time, and in October finally scheduled a visit. 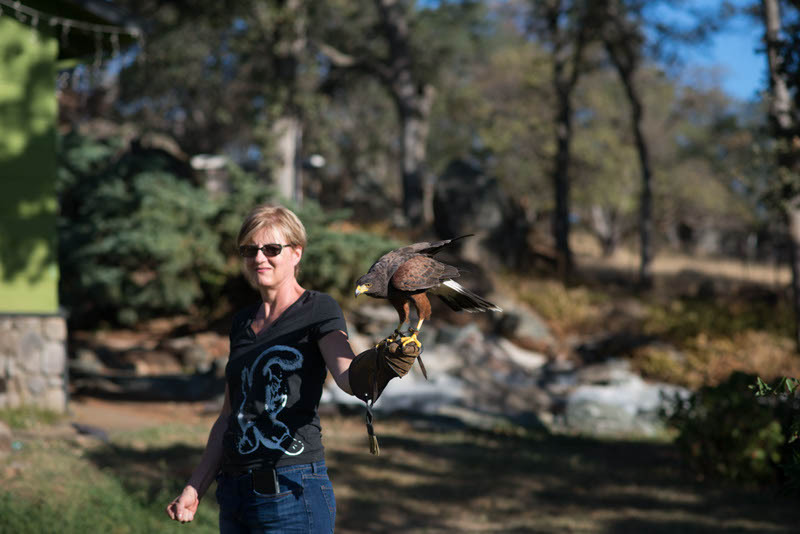 A few of us drove out there (about 45 minutes from Nevada City) and took the Basic Falconry Lesson. 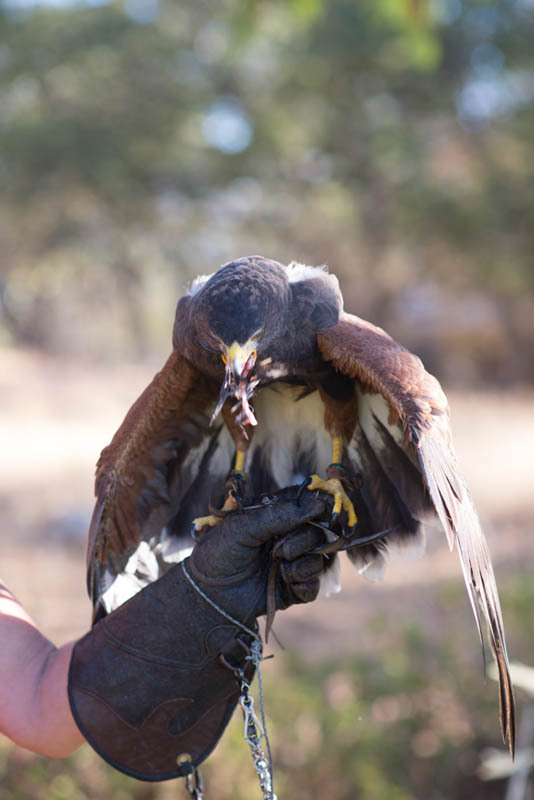 In this class the instructors guide you in learning to hold a hawk, cast it from your glove and then call it back again. 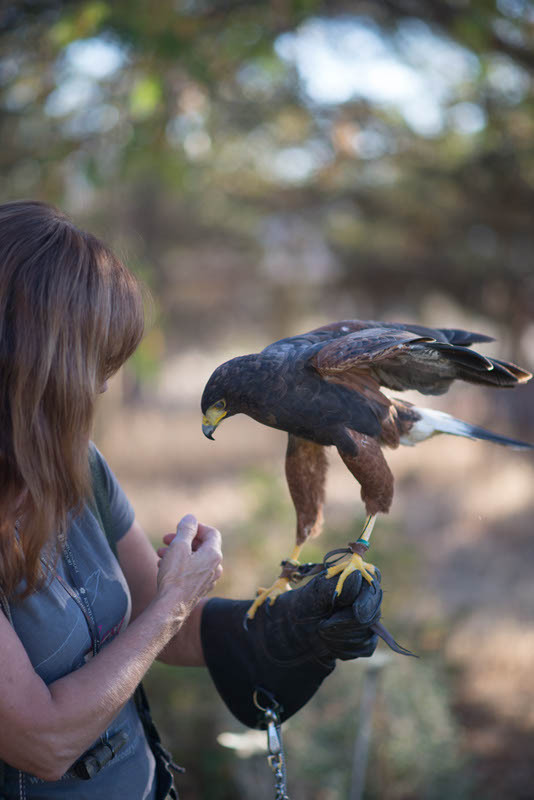 We got to work with one of their seasoned birds named Cowboy. 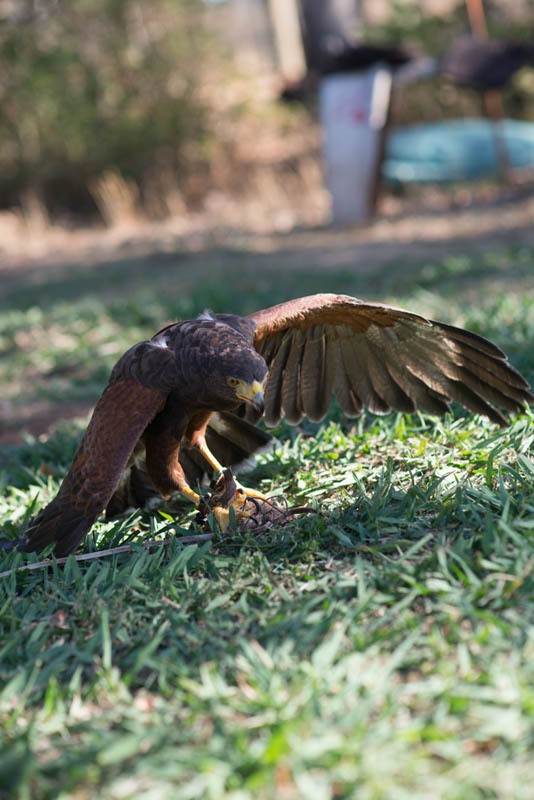 We also learned about the history of falconry, conservation and the role of our raptors in their natural environment. 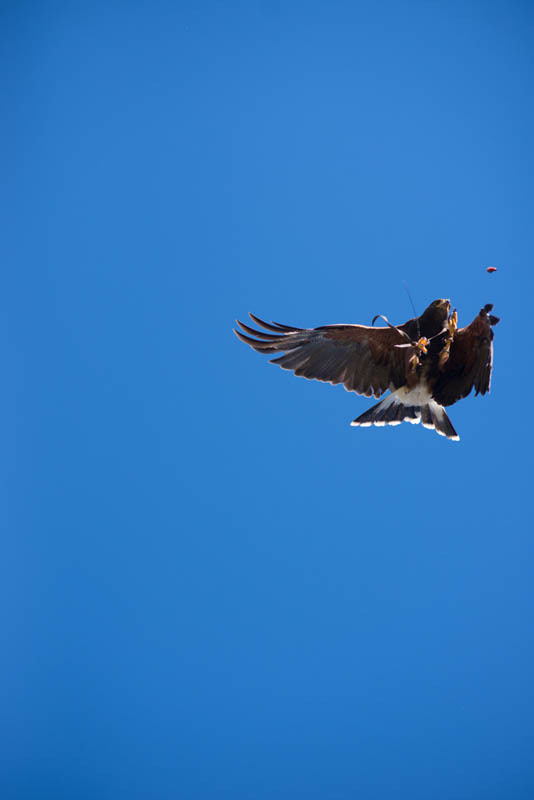 Here’s a video of our experience, and also some photos.